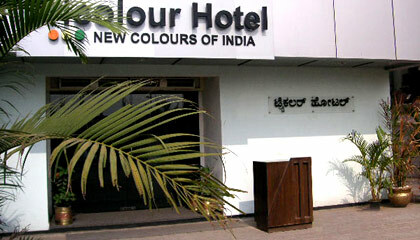 The Tricolour Hotel is located centrally located in the heart of the city. 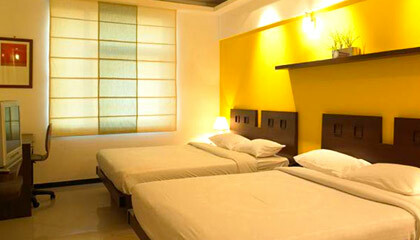 Centrally located in the heart of the city, The Tricolour Hotel is a premium budget hotel of Bangalore. Tastefully designed for business travelers, the hotel pleases its guests with warm hospitality and impressive services. 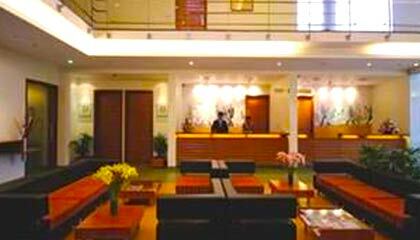 Convenient location of the hotel makes it a suitable place to explore the major sightseeing places as well as shopping centers in the city. 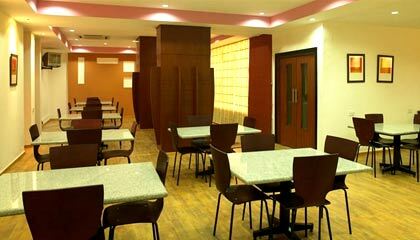 The hotel maintains a level of comfort and convenience by providing modern facilities. 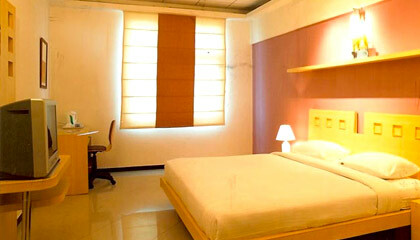 Rooms of the hotel are supplied with latest amenities required for a pleasant stay. Dedicated staff of the hotel serves the guests amicably; thus making them feel comfortable and special. 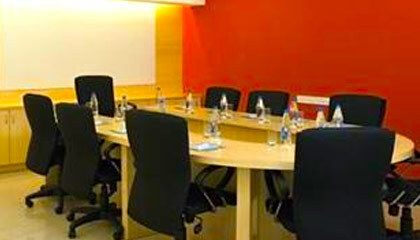 With its pleasant environment and deluxe facilities, The Tricolour Hotel is a good place to have an enjoyable stay at pocket-friendly prices in Bangalore. 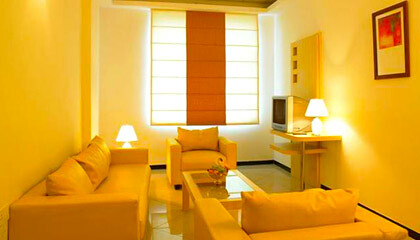 The hotel offers 64 well furnished rooms including Deluxe Rooms and Executive Suites. All rooms are equipped with up to date amenities required for a comfortable stay. The Restaurant: A well appointed eater serving delicious food.